Life has been full these past 12 months – of beginnings and endings, as life often is. I’ve worked on a book proposal, started a new job, lost a beloved family member and, throughout it all, found strength and inspiration from my continual development as a medium, writer and teacher with spirit. I’ve just launched a website and am offering sittings as a professional spirit medium, written messages from spirit, meditation classes and workshops. If you’d like to find out more, check out http://www.louise-wylie.com. Yesterday, I had the pleasure of dropping into a spirit writing class with my erstwhile teacher. It was lovely to reconnect – with her and with spirit in that manner – for the first time in many months. I was given the topic of Duality and the spirit communicator who joined me was in philosophical mode. Here’s what he wrote. Firstly, let me place this hourglass between us, here on the floor. The sand within runs smoothly. You and I know it is sand but does the sand perceive itself so? Or does it still bear the senses of the myriad creatures, stones and rocks it once was? And when it is pressed still harder, when the rock beneath us is pressed into a diamond, does the diamond perceive itself only as its new shining form, or as its previous, darker and more humble self? The duality of nature is all around us. The seed becomes the sapling, the sapling the mighty tree, the tree the fallen log, the log charcoal for the fire. So it is with the waters of the earth themselves. Falling from the sky as rain, giving crops life and quenching our thirst, allowing us to grow – then flowing to the seas and being drawn inexorably upward once again by the might of the sun. As it falls, does the raindrop consider itself as separate, or does it hold the memory of the river, or the mighty ocean, or the cloud it once was and will be again? When men or women consider themselves, too frequently they see only one aspect. They see nothing beyond the human form and often do not consider what went before and must come after. For all life is cyclical and human life is no different. If we cannot remember what came before or will come after, that does not mean it is not there and will not be. Like the raindrop, we live in the moment of human existence, falling, falling into the river of life, flowing towards the ocean of our eternity. Being in the moment allows us to experience the richness of life, to consider its beauty and terror, to learn and to grow. And if a part of that growth is to consider and celebrate the duality of all things, then allow, oh little ones, for the duality of your own natures. Whoever you are now, you are so much more, so many more, than you can know, or see, or feel. Allow for the miracle to be as present in you as it is in the acorn that cannot dream the forest, the raindrop that cannot dream the ocean. You are the man or woman who cannot dream the host of all the souls you have been or ever will be. Duality is the spirit of existence; the mind of the Divine in physical form, Its imagination made manifest. This entry was posted in Written with spirit and tagged environment, human nature, inspired writing, soul, spirit communicator on February 21, 2016 by louisebwylie. As I say on the ‘About’ page of this blog, I’m not religious in the accepted sense, though I totally respect others’ beliefs. And as I’ve said in previous posts, I don’t feel particularly comfortable writing with ‘famous’ communicators. So perhaps I shouldn’t have been surprised by who came knocking at my metaphysical door when I sat down to write with spirit about healing. Because I’m beginning to suspect that whatever I try to avoid is precisely what spirit gently puts in my path! Thanks for the lesson, team. There are many forms of healing for there are many different kinds of injury needing to be healed. Most obvious, in human terms, is the art of the physician, where God-given intelligence enables him or her to diagnose a problem with the physical body, or with the mental wellness of the human, and to prescribe treatments to cure or alleviate the problem. Less progress has been made in terms of mental health. Here, man’s comfort with the physical, his focus on all things scientific, is not so much help as hindrance. For he is less likely to address the emotional, the spiritual, with success if he is mired in a world of membranes and chemicals. This is where a healer’s senses go beyond those known to conventional medicine. This is where the healer that exists in every human can emerge and perform a miracle. For every one of you can heal. Every one of you can perform miracles daily. It does not require a surgeon’s training or a psychiatrist’s learning. It does not even require an alternative practitioner’s years of study. All it requires is an open heart, a connectedness to your soul. And then, in tune with yourself, you are also in tune with others. Then, in your openness, you can feel the other’s need on an instinctive level. In the centre there is medicine and science and there are developments to come in these areas. But what will never change is the attendant need for the small healings of everyday life. For, given in enough quality and quantity, they themselves can prevent many greater ills from occurring. 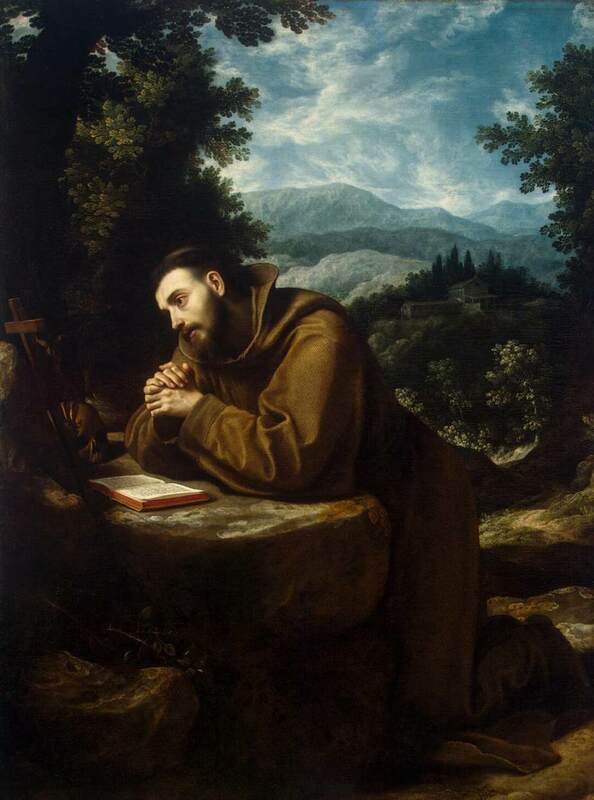 This entry was posted in Channelling, Written with spirit and tagged ascended master, channelling, Healing, inspirational writing, inspired writing, kindness, St Francis of Assisi on February 26, 2015 by louisebwylie. So, I said a few posts back that I don’t feel comfortable being asked to write with ‘famous’ people in spirit. On this occasion I wasn’t asked to, but it happened anyway! The task was to write about two words – Royalty and Saint – with whichever communicator felt moved to do so. It was clear, when he came through, that this was a soul in reflection: someone who has not yet fully transitioned into their higher self and so retains many of their human characteristics and views. He certainly felt very strongly about the issue at hand! It also felt very much, to me, as if I had connected with John Donne, the 16/17th Century poet. In my day, those of Royal blood thought themselves holy. Being elected by the Pope, or being the Head of the Church themselves, meant only one step between the human throne and the heavenly one. Or so it seemed to them. Indeed, all Royalty in those days considered themselves elected by Divine Right. Their deeds were God given, God sent. They were above the laws of man and, although they were still subject to God’s law, many fell into the trap of confusing their all too human mistakes with the will of God. How many kings and queens, then, felt in life that they were only a hair’s breadth from being divine themselves? How many dreamed that, in death, they might be revered as saints as well as remembered as wise rulers? Such is the divinity of kings and such is the delusion. For no man, king or commoner, is a saint. Sainthood is a state bestowed by man, not God. If a man performs a miracle, it is not he but God performing the miracle. To do saintly deeds is merely to be an instrument of God. The most humble of men, helping his fellow man, is more a saint than all those whose bones were jealously guarded, whose relics were revered. Look for the true saints among the common graves, among the unsung men. Each of you is capable of sainthood in your lifetime. To be kind today pleases God far more than to be worshipped tomorrow. Be not a king, be not a saint, be a kind man to please God. Amen. 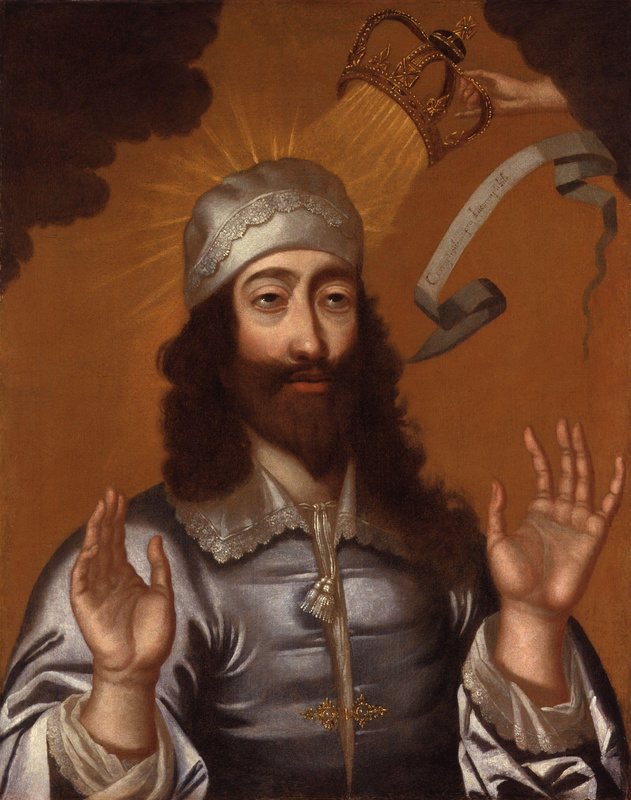 This entry was posted in Channelling, Written with spirit and tagged channelling, inspired writing, John Donne, kindness, Royalty, Sainthood, soul in reflection, spirit communicator on February 26, 2015 by louisebwylie. I don’t know why I continue to be amazed by the serendipities that frequently occur in my work with spirit, but I do! Perhaps that’s not a bad thing, because I’d never want to take the connection, or the gifts it gives me, for granted. An example of spirit’s great sense of timing came in one of the monthly spirit writing classes I still enjoy taking. A few days before, I’d been speaking with a good friend about (again) feeling overwhelmed by certain people and she’d said (again) that I needed to set boundaries and stick to them. So I turned up at class a little tired and sorry for myself and the first task out of the spiritual hat was to pick a card at random from Meraylah Allwood’s The Wisdom of Trees oracle deck and write about it with a communicator. I picked Hazel (see the illustration above) and its key word is, you guessed it, ‘boundaries’! Consider your viewpoint. 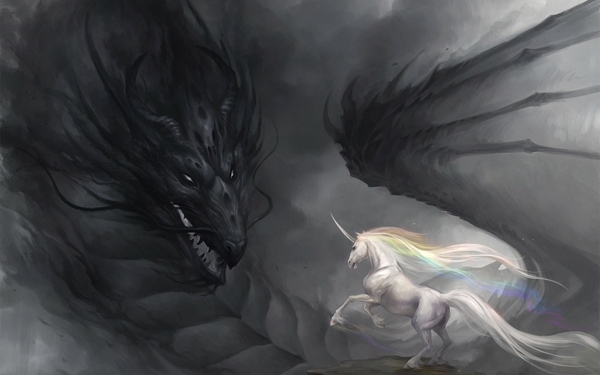 Your perception is all. A boundary is just that – a point of passage from one place to another, a threshold, a doorway, a mark of delineation. You think of boundaries as a means to block yourself in, or others out, but they are not, in their true sense. A boundary is a mark of respect and an opportunity. Energetically, the boundaries you set conserve your efforts and energy for those tasks which are of the most importance. Respecting your carefully considered boundaries, and expecting others to do so too, enables you to give more of yourself, not less, and in the ways which most matter. Your boundaries do not limit you. When they are set and respected with grace and wisdom and compassion, they free you. Do not fear the setting of boundaries as failure or as limitation. Instead consider it as a path to grace and fulfilment. Self-discipline is at the heart of this important exercise. And remember your boundary is always flexible. You can choose, in exceptional circumstances, to step over it, or to invite another to do so. But the fact that it is there gives both you and the other pause, time to consider whether this is the correct choice of action. Hazel bends with the wind and with the hand. Hazel is flexible, resourceful and useful. So, too, are boundaries. Observe the image. 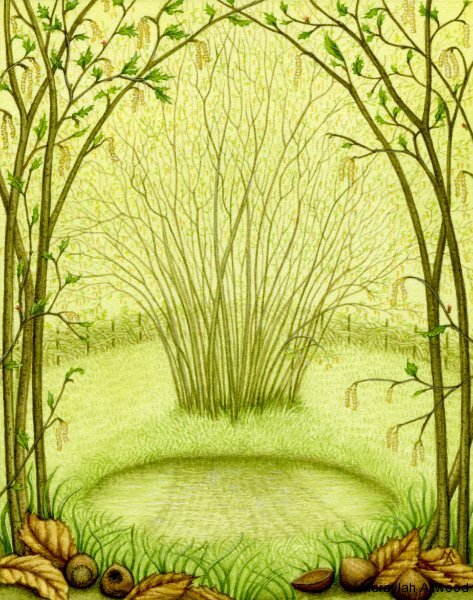 The hazel forms an archway, a natural place of shelter and a low fence that is easy to see over and beyond. Thus, too, can boundaries play many roles in your life. Observe, in quiet reflection, where and why boundaries are needed. Build them lovingly, with due notice to those whose lives and relationships with you they may affect. Construct them carefully, for the best and most fruitful of intentions. And then, like Hazel, your boundaries will bear fruit to sustain you in all your future endeavours. This entry was posted in Channelling, Written with spirit and tagged Boundaries, channelling, human nature, inspirational writing, inspired writing, spirit communicator on February 26, 2015 by louisebwylie. Preparing other people to speak publicly has always been a part of my job but because doing it myself is, I believe, going to become a more frequent thing, I decided to write about that with Jy, my spirit guide. As ever, he brought a new perspective to that old phrase ‘the power of words’ – not only in terms of public speaking but of the words all of us casually emit every day! Below are the excerpts that apply to us all. Speaking is an ability acquired by humans as soon as they are born. Even before a baby can formulate recognisable words, it is increasingly capable of understanding what its parents say, is increasingly capable of making noises of which it understands the purpose, even if it takes a short while for the parents’ understanding to catch up. Thus a baby’s “babble” becomes its language – its method of speaking – and soon, from listening to its parents and siblings make the sound of words, it becomes a mimic, translating its babble into meaningful sounds. That is, sounds that are meaningful to others, rather than just to itself. Because the baby has always known, in every sense, what it was saying. Even in the womb. Speaking is the verbalisation of your thoughts, in a manner that can be understood by others. It may also be the verbalisation of others’ thoughts – perhaps political or religious ideologies, or a favourite fairy tale. Sometimes humans express others’ thoughts when acting as teachers or preachers. Oftentimes you express your own thoughts when you wish to take part in a conversation about a particular topic, to express your own opinion, or your feelings for another person. Thus, as an ability learned early and used frequently, speaking is often practiced without much consideration. The connection between the thought and the verbalisation of it is crucial. Too much of one and too little of the other can heavily influence both the tone and the content of the information or ideas you are expressing. If you are speaking about another’s ideas, you must make plain whether you are simply conveying another’s thoughts – in which case you have a responsibility to convey them clearly and accurately – or whether you are giving your opinion on that other person’s thoughts. In the latter case you have a responsibility to make clear that what you are conveying is simply your opinion – nothing more and nothing less. You will see, therefore, that speaking, although something even a baby can do, is rather more complex in nature than simply opening your mouth and letting sounds come out! There are responsibilities involved. Why? Because words have power. Because what you think and how you express it helps shape your world. Because passionate opinion helps shape other people’s perception of your world. Words do not only have power, they are power. Words, both written and spoken, fuel society. They fuel ideas and ideologies. They fuel action and inertia. They fuel change and stagnation. They fuel tolerance and ignorance. They fuel hate and compassion. Because humans are a social species, they speak words all the time but there is no such thing as idle chatter, as harmless gossip. Every single word you speak is like a volt of electricity entering the circuits of your society, of your world. Every word has power, has an effect, however subtle. Too many people speak without thinking. They do not make the necessary connection between what they think, how they express that out loud and what happens in their world. They do not make the connection between the volt they emitted and the light switching on. And they do not take the responsibility. Being the social animals that you are, the spoken word is hugely important to humans. Indeed, even before any sort of written language was created, man shared information in spoken form. Knowledge was passed from generation to generation verbally and in certain parts of your world this is still so. 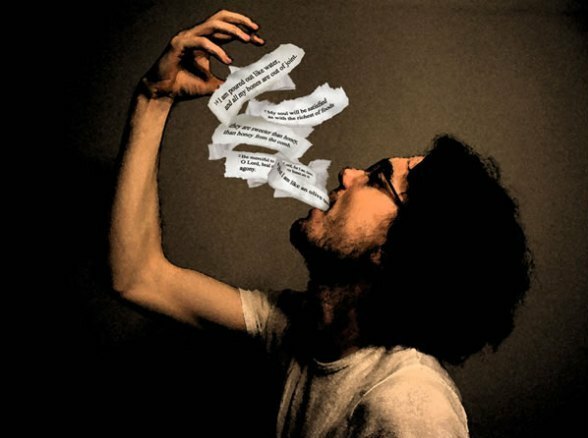 In addition, the spoken word can often have even greater power than the written because of its immediacy and its ability to engage more of your senses. The storyteller, speaking aloud, uses the power and tone of the human voice, facial expressions, gestures and body language to enhance their tale – to infuse it with more power than words on a page can possess. The storyteller adds weight to the drama of his words. The magic woven around spoken tales is tangible in the air – an audience held captive and receptive to the full voltage of every word. Remember you are here to share, not to preach; to offer, not to press. There will be many who listen and many who do not. That is free will. Do not take criticism personally when some who listen disagree. Accept their right to do so, offer kindness and move on. There will never be a situation where everyone believes the same thing. How could you hope to create that and why would you want to? But (by speaking your truth) you can be a part of creating a world where more people understand the eternal nature of life and love. You can be a small but essential cog in the machine of love and compassion. Speak from your heart, from your soul. Speak joyfully, speak truthfully, speak responsibly – and all will be well. This entry was posted in Channelling, Written with spirit and tagged channelling, Inspirational speaking, inspirational writing, Jy, personal responsibility, power of words, speaking, spirit guides, truth on February 25, 2015 by louisebwylie. The start of another year is a natural time for each of us to reflect on what we’ve achieved and where we’re headed. There was a heck of a lot of change going on for me as 2015 began (still is!) but it seemed that humanity as a whole was in an even greater state of upheaval than usual. Perspective is a useful thing. I knew I was in a state of transition and I knew roughly where I was headed (even if I hadn’t a clue how I was going to get there!) but were we, humanity, headed? My spirit guide Jy is never one to shy away from the big questions. Your world is, indeed, in a state of transition – principally because it is in a state of “in decision”. Do not mistake me. I do not mean that most people do not know what they want or what they should do. I mean precisely the opposite. I mean that too many people believe they know precisely what they want and how they should go about getting it. And that they feel free to take whatever action they see fit in order to obtain it. With this situation there are two major problems. One is that most people do not give sufficient thought – sufficient feeling past the surface thought – to what they want. Such decisions are taken too swiftly and too superficially. What is beneath this wanting? What does your soul really need? The true need is often very different from what those individuals who rush toward action perceive it to be. Very different from what they set about creating or taking. The second problem with precipitous action is that too often people do not pause to consider the possible effects on others of their obtaining what they want, or the effects of the actions they intend to take in order to obtain it. Worse still, people sometimes do consider these possible effects, and yet they choose to ignore them and continue with their planned actions. Thus you are immersed in a world where desire outweighs consequence. Where action overwhelms consideration. A world where few act in a responsible way at all times – and by that I mean conduct their lives in a such way that they are prepared to take personal responsibility for each and every one of their actions. Think what your world would look like, would feel like, if everyone only did things for which they were prepared to stand accountable. It would be a very different place indeed. It would not be a place where free will and enjoyment of one’s own life was eradicated. Oh, no! That is the false argument used by people who do not understand the concept of true freedom. True freedom is freedom from fear – fear of the suffering which might be caused to you by another’s actions or which might be caused to others by your actions. True freedom is thus the freedom from guilt, from all unnecessary suffering or deprivation. To live a human life will always carry risks and present challenges – that is its nature and purpose. But think deeply on this: how many of the sufferings of the world are inevitable, are totally without an element of man-made choice which might have been avoided? If each person felt truly accountable for their own actions there would be far more room in the world, in each of your lives and days, for love, for pleasure, for compassion, for joy – for true freedom. While the majority of humans tread the path of mindless obedience, mindless hedonism or anarchy, the world struggles to create harmony. But there is hope and it is a growing hope. More and more people are waking up to the notion of true freedom and personal responsibility going hand in hand. This mindfulness is growing, in those already incarnated and in those who are now being born. Increasingly, souls are coming into the world with this awareness embedded in them so fundamentally that this is how they are choosing to live their lives from the beginning. Do not despair, humankind, for you are changing. You are in transition and this is a good thing! And do not despair of the pace of that change. Each of your lifetimes is short and it may seem frustrating to those of you who already see this truth, have adopted this way of living, that so many others do not and have not. It may seem frustrating that things are not changing faster. Be at peace, know that the way each of you lives your individual life – with responsibility and compassion – has an effect on the whole, that it aids the transition. See the slowly changing picture in context. Remember how long it took for life as you know it now to evolve on your world. Remember what a minute amount of time (as you perceive time) the existence of humankind represents in the history of your world. Be patient with your fellow humans, meet ignorance with compassion, understand and accept the gradual nature of this change. Do not despair for the change is inexorable – it will happen. Perhaps you will not see it come to fruition in your current incarnation but be content, know that the part you are playing in this transition is essential, vital. Know that each lifetime well lived – responsibly, kindly – adds to the momentum of change. Humankind has immense power over the globe that is Mother Earth. Humankind creates its most powerful societies and its most potent disasters. But Mother Earth has always been, and will always be, superior. She has brought ages to a close, crushed civilisations and destroyed species with her immense power. Often, she has been given no choice. And so humankind, in all its slowly transitioning glory, must also learn to heed and respect Mother Earth’s role in its future. Wake up, wake up, to the world that you live on. Heed Her warnings and respect Her needs as well as your own and those of your fellow man. Behave as responsibly toward Her as you do toward yourself and your fellow man. Give yourselves the best chance of a successful global transition by preserving that globe in all its glory. For what is the use of humankind evolving in wisdom, in completing this transition many lifetimes’ hence, only the find that you have a wasted, blighted world on which to ‘enjoy’ your new freedoms? Better, then, to remember that personal responsibility begins at home in a much deeper sense – beyond the bricks and mortar, the neighbourhood streets and shops, the bordered country or the continent. Live wisely in and on the world, my human friends. Live wisely with each other, with Mother Earth and your true self. Listen to each other, listen to the Mother, listen to your own heart and to your soul. Listen before you leap – and transition well. This entry was posted in Channelling, Written with spirit and tagged 'in decision', change, channelling, environment, evolution, freedom, human nature, inspirational writing, inspired writing, Jy, mother earth, personal responsibility, society, spirit guides, suffering, Transition on February 25, 2015 by louisebwylie.